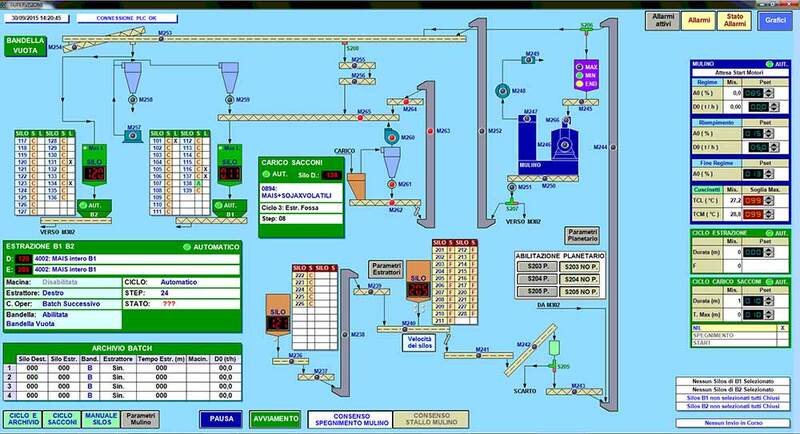 BRU.IMPIANTI Group offers automation systems for the control of production processes managed by one or more PLCs and a PC performing the operational supervision and setting parameters of the production process through a graphic interface program. 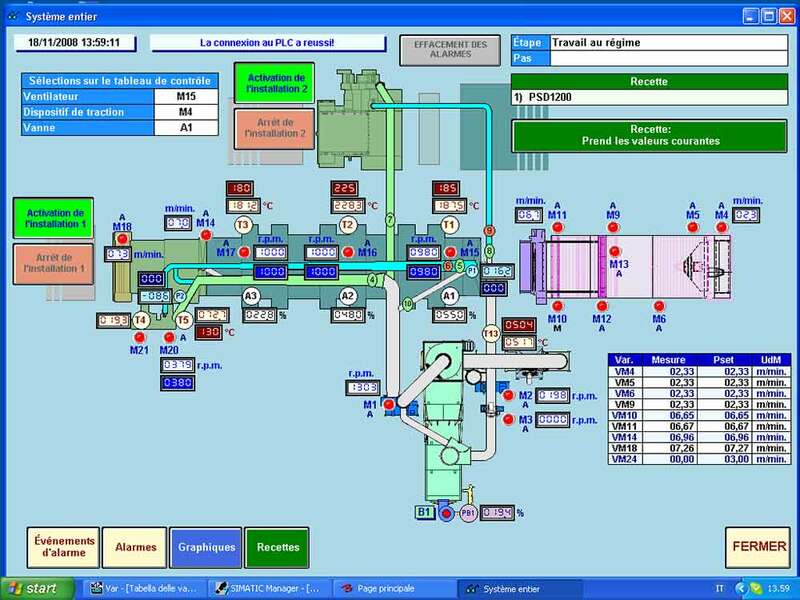 In addition, the proposed systems grant the option of taking action, if necessary, with auxiliary manual devices (push buttons on panels, remote controls or touch screen) and by remote via Internet in case of direct assistance online. 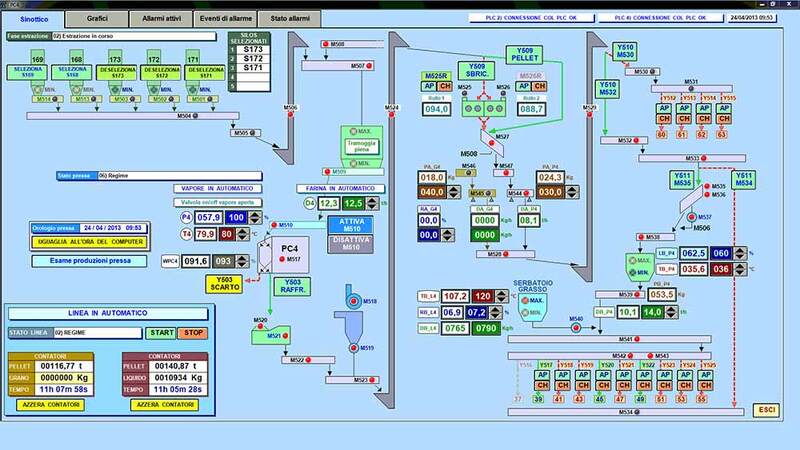 Supervision display panel of an incineration plant for petro-chemicals. 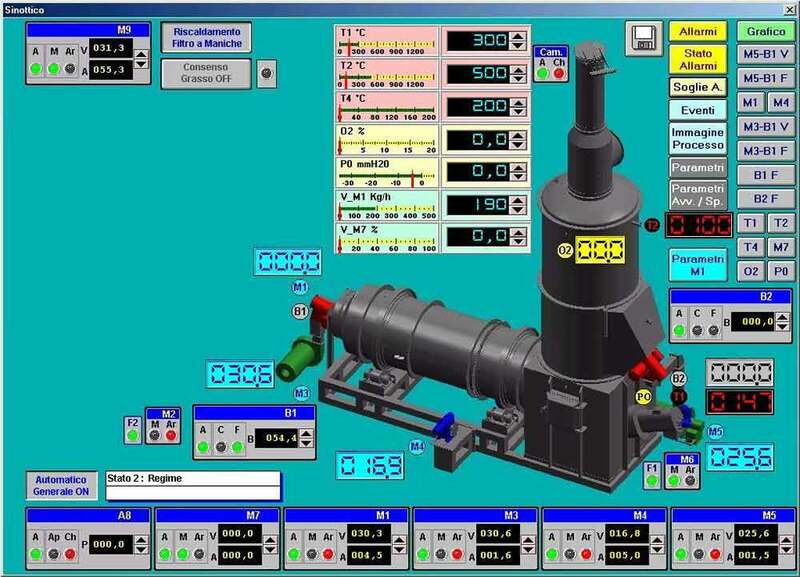 Supervision display panel of a Post-combustor plant of a dryer. 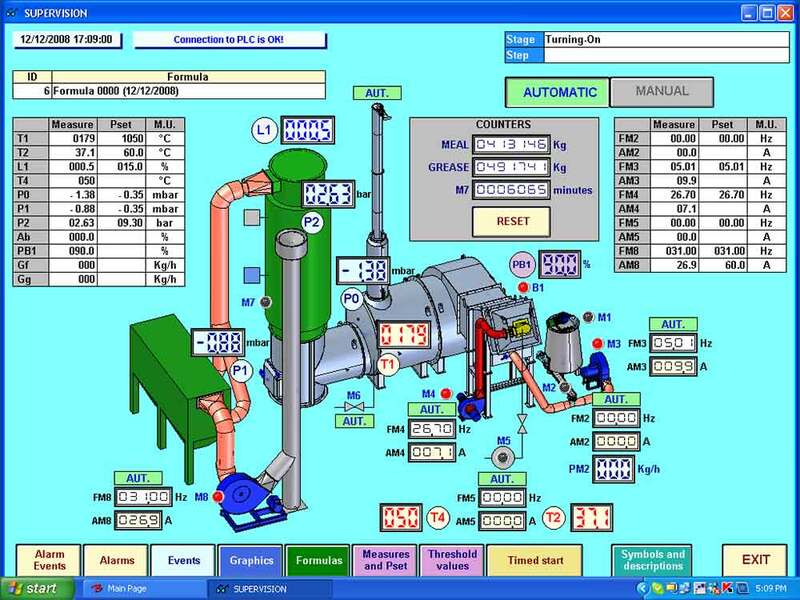 Supervision display panel of an incineration plant for M.B.M (meat and bone meal). 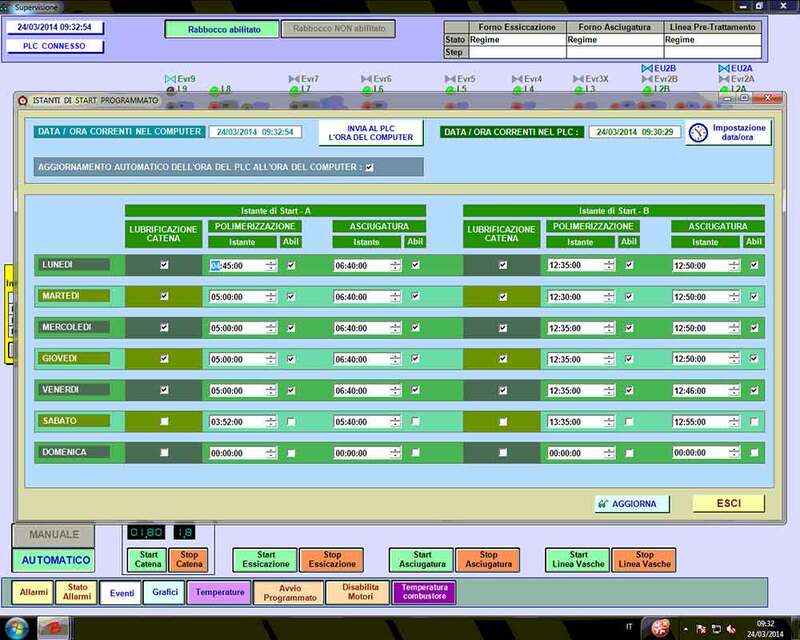 Supervision display panel of an incineration plant for animal carcasses and remains. 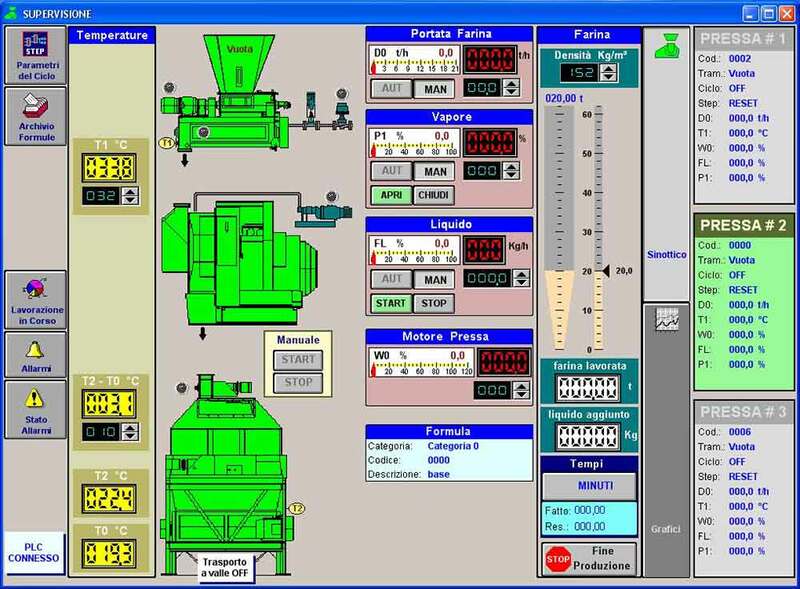 Supervision graphic display of a feed mill’s presses operation. 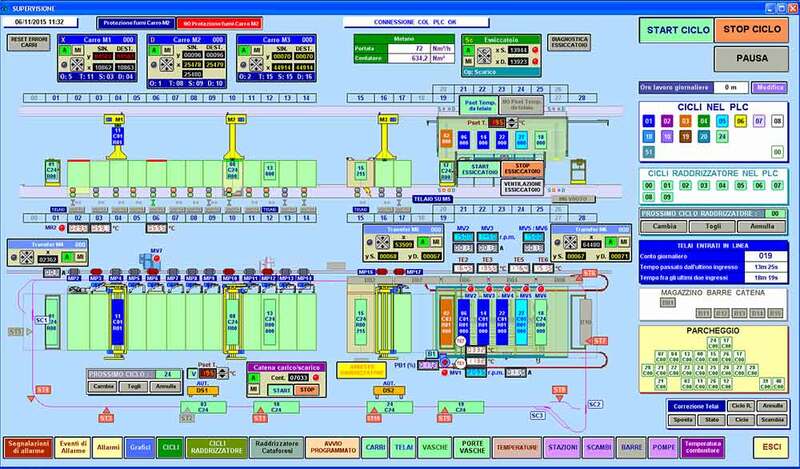 Supervision display panel of a feed mill’s plant. 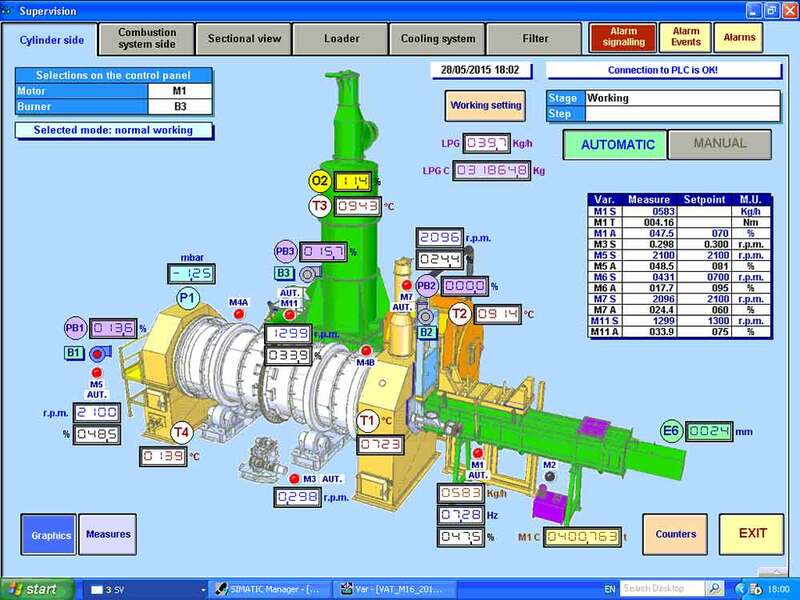 Supervision display panel of a feed mill’s dicers line. 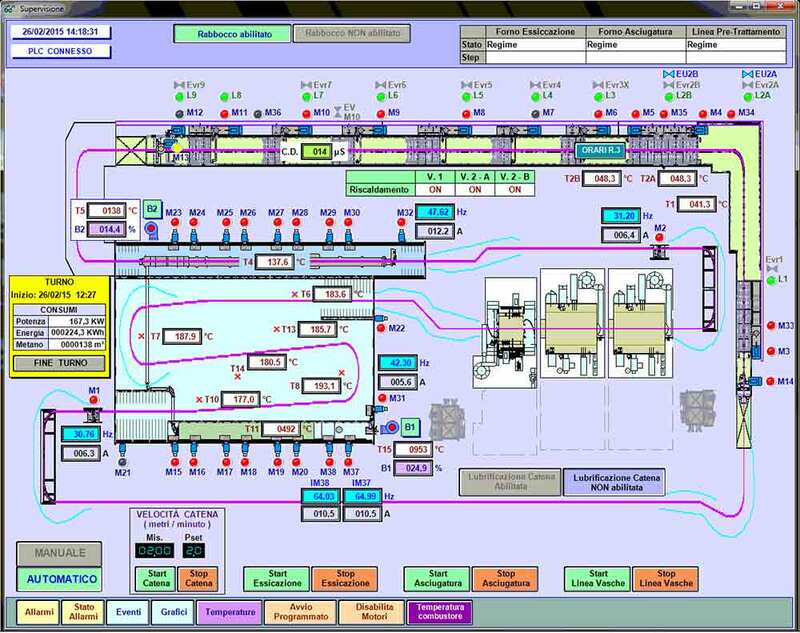 Supervision display panel of a mixtures dosing line at the feed mill. 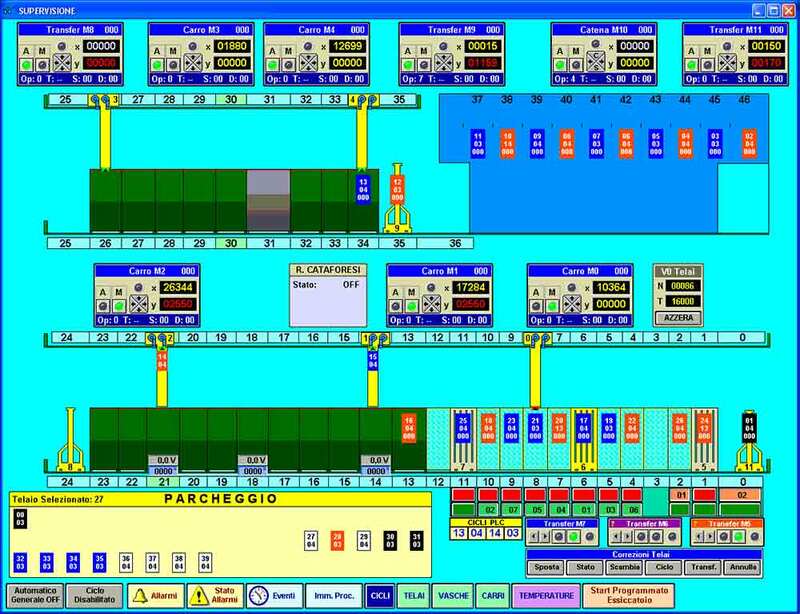 Supervision display panel of a feed mill’s mixing line. 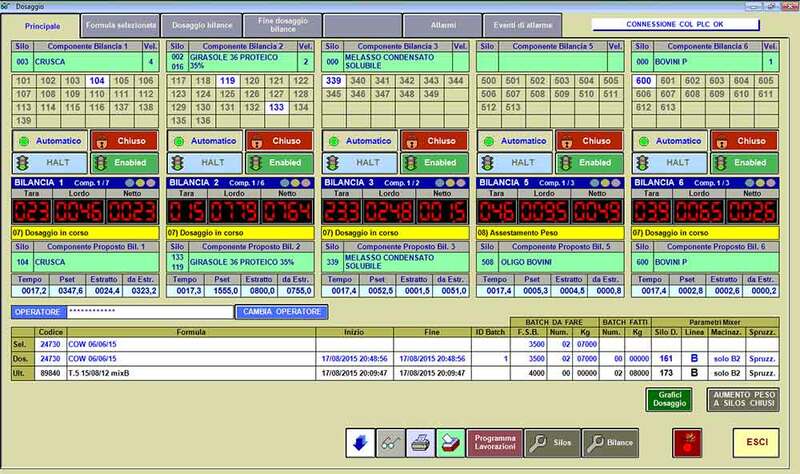 Supervision display panel of a feed mill’s material handling system. 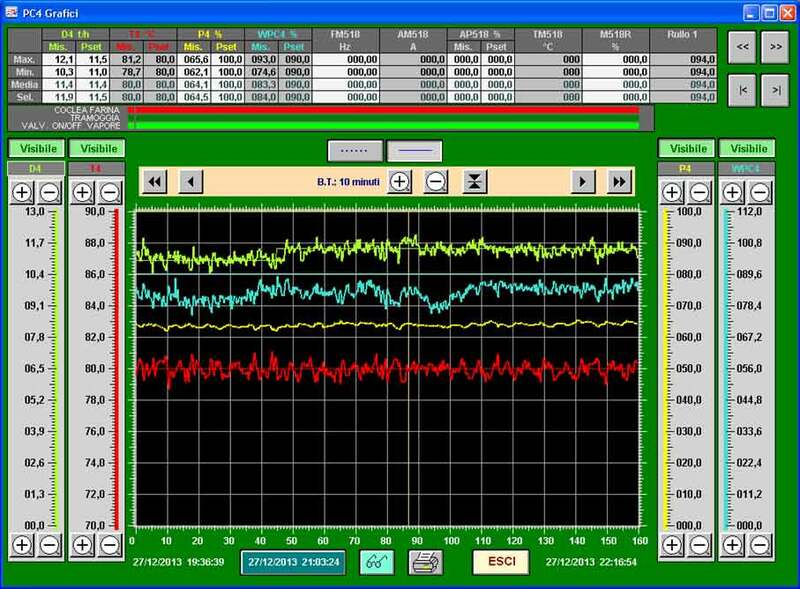 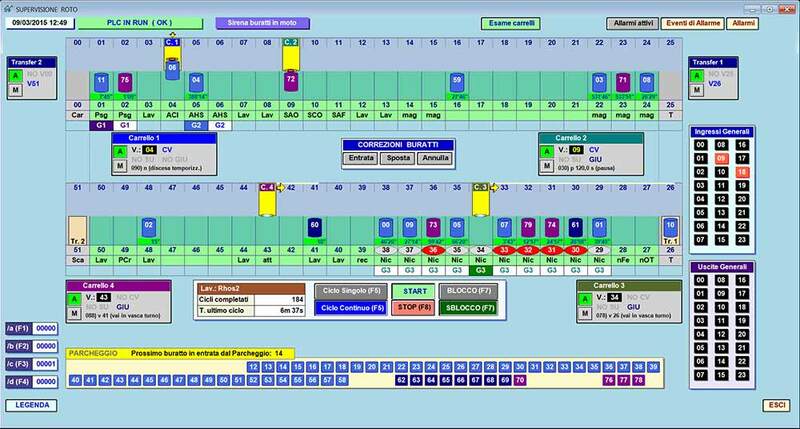 Supervision display for the on/off programming of the drying ovens in a coating plant. 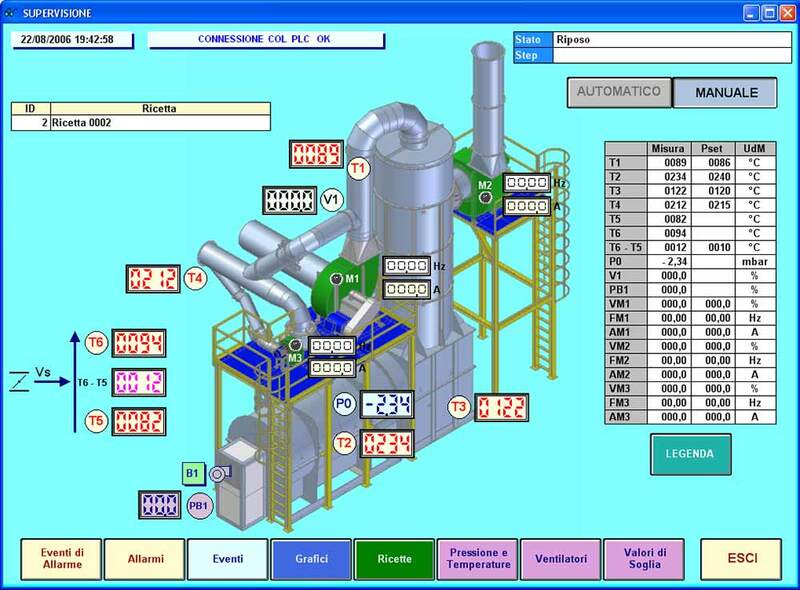 Supervision display panel of a powder coating plant process. 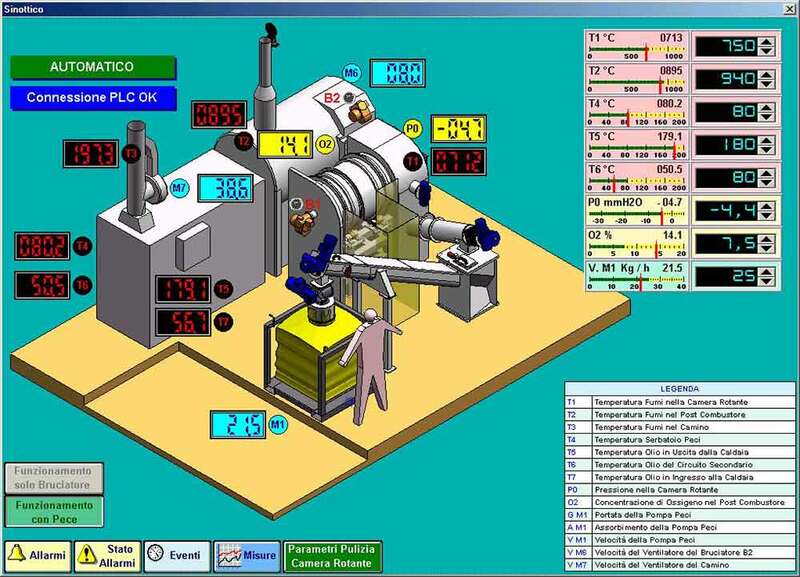 Supervision display panel of a cataphoretic coating plant. 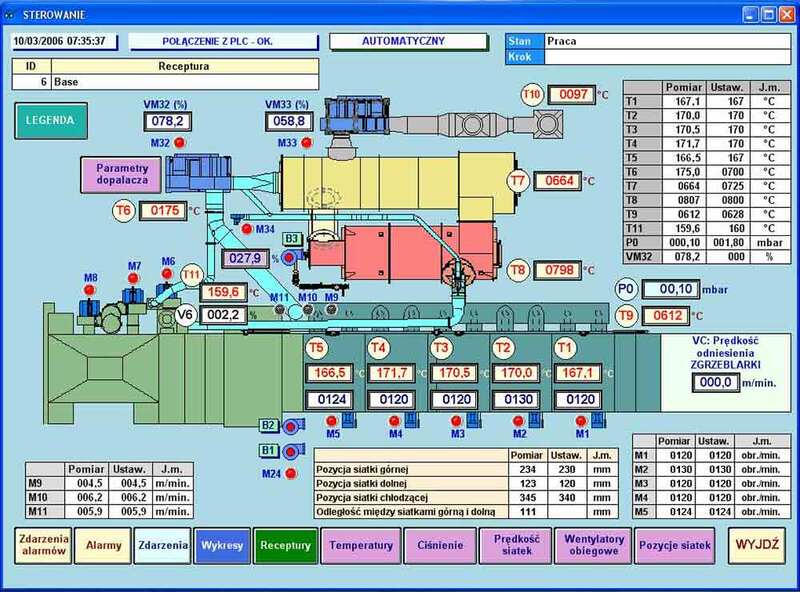 Supervision display panel of an autophoretic coating plant. 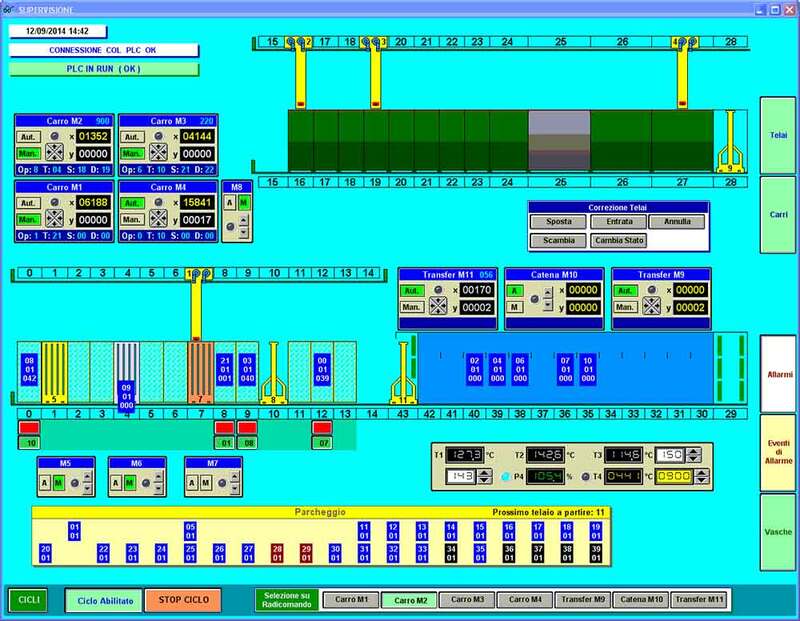 Supervision display panel of a metal surface treatment plant. 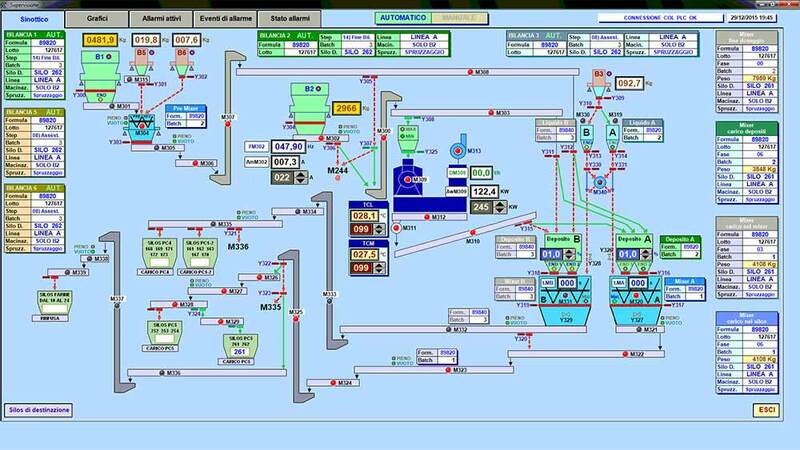 BRU.IMPIANTI Group has no reference models for #controlofprocesses, as it designs and develops this kind of programs customizing them on the needs and requirements of the customers.